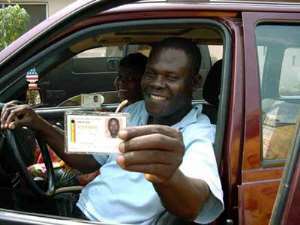 Some 450,000 eligible voters will not be able to exercise their franchise in this year's general election because they did not have their photo taken as required for the issue of voters' identification cards. These are Ghanaians who had their names entered in the electoral register during the first phase of the national voters' registration exercise, and were given receipts slips that they were supposed to present during the later image capture phase. It is assured that majority of them simply failed to respond to the EC's invitation to present themselves for their photographs to be taken to complete the registration process. Speaking to the GHANAIAN TIMES, EC Director of Elections, Albert Kofi Arhin, explained that at the end of the second phase of registration, it was reckoned that about 700,000 partially registered voters had not had their photos taken. The subsequent mopping-up exercise the EC undertook account for about 250,000 of this number.